In the summertime, nothing is more bothersome than a broken air conditioner, especially in the North. But regardless of where you live, nobody wants to fix an air conditioner in the summer because heat is just unpleasant to work in. In order to make sure that you don’t always have a broken AC, maintenance is key. Doing some periodic maintenance on your air conditioner can help keep major costs low. Regular domestic maintenance will also reduce your energy costs and help your AC last longer. This means you won’t have to replace it sooner than absolutely necessary. When considering air conditioning units, you can choose either ducted or split system air conditioning units. Room air conditioner (RAC) units are also referred to as window units. Failing to maintain your air conditioning unit can cause it to perform poorly. Not only that, but it will also increase energy use because the unit is not functioning efficiently. Some steps in maintaining a split system versus a ducted system are similar. However, other points are totally different. Keep in mind that some of the following points may not apply to your unit. Air filters are the easiest and most effective thing to replace in an air conditioner unit. Regardless of whether you have a split system or a ducted one. 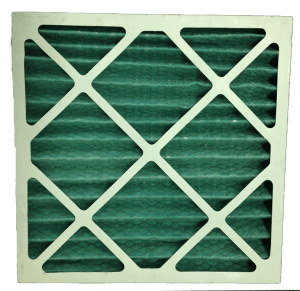 A dirty air filter will reduce airflow and efficiency, as this will allow less air to flow through. Replacing an air filter is an easy way to increase efficiency in an air conditioning unit. In a ducted air conditioning unit, the filter should be in the return air duct. This may be located along a wall, ceiling, or in the air conditioner itself. A split system air conditioner will have an air filter in the unit itself, usually in the part that faces the room. If you choose to use a reusable filter, you will need to follow the filter’s instructions to clean and reinsert it. If you choose to use a replaceable filter, you should find a filter that fits your air conditioner’s model. But bear in mind that it can be costlier over time. It will require less work though. The frequency with which you need to replace an air conditioner’s filter depends on how often it is used as well as the type of air it is filtering. If you have furry pets in the house, you will most likely need to replace the filter more often to keep it functioning at top performance. Condensate drains are found in both types of air conditioning unit. These are responsible for draining the water that collects in the unit as a result of condensation. If the condensate drains are clogged, the unit may have an automatic shut-off, which will cause the unit to turn off when the drain is full. As a result, it will cause the unit to cease functioning. In order to make sure that your unit’s condensate drains don’t become clogged, you can snake the drain with a stiff wire. Air conditioners have evaporator coils and condenser coils. Both collect débris over time and become dirty which decreases effectiveness. You can clean your evaporator coils every year if needed in order to keep it functioning properly. In either system system, cleaning the outdoor condenser coils can involve trimming overgrowth to allow airflow around the unit. It also means cleaning the area around the coil and removing débris. Units also have coil fins, which look like lines running vertically along the unit. These lines can sometimes become crooked and need to be straightened out in order to improve air flow. You can buy a “fin comb” to straighten out these fins. Window units (RAC) will often need to be buffered by window seals. These are plastic or rubber sealants used around the unit’s extended filters, which will keep outside air from coming in and vice versa. A window unit will typically have vents that spread out horizontally to enclose the space to the left and right of the unit. This is so that it fits comfortably in the window. The gaps between these vents and the window or window sill should be sealed with plastic or weather-stripping. This will make sure that air doesn’t flow around the unit. Sealing these gaps will increase efficiency. Maintaining your air conditioning unit is important because complications may arise when your AC isn’t cared for. For example, it might break down quickly, regardless if it is new or not. Not only will your air conditioner last much longer if it is maintained, but you will also have lower power bills, since your AC is working as it should. Maintaining your own appliances can save you money in the long run, so this shouldn’t be taken for granted. Many appliances that malfunction can be fixed by simply arranging a diagnostic call out, so a specialist can come and see what the issue is.